You consider that they’re trying to make the best of a “bad” situation? Any situation you’re in is one YOU created. Why – you want McCutchen at 3 years/50 mil? Losing out on Cutch at that price is a blessing. Consider it well played by the Braves. Angels wont get Sonny Gray without flaunting those “sexier” prospects. Yankees asked for Trammell from the Reds. Not really sure anyone would really trade for one year of Sonny Gray after a down season and his $9 million salary for a top tier prospect. Howd that work out for yankees? If that’s what the Yankees are settling for, it’ll be a long winter. Yankees can ask for whatever they want. Doesnt mean theyll get it. Only reason cashman is asking for a guy lile trammel is so he can save face on the gray deal. Cashmans hoping someones stupid and desperate enough to do it. I don’t want to know what it requires in the offseason to become desperate for Sonny Gray…. Its called getting the best player. Of course the yanks will ask for top prospects but unless a team caves in they will not get it. The closer to spring training the prices drop not just for Gray but every player on the trade market. It’s in the Yankees best interest to move gray sooner than later in my opinion. Once the remaining free agents and trade candidates are gone there will only be a few teams with as much of a need in the rotation and Sonny Gray isn’t the huge difference maker that teams will be desperate for to give up truly significant prospects for one season. I disagree. Once spring training starts, injuries start happening, and new needs arise. They are fine playing the long game for now. Sure they’ll get Sonny Gray without flaunting those sexier prospects. I’d be surprised if a Gray brought back a single organizational top 10 prospect. Angels going back to the Bill Stoneman playbook of hanging onto everyone. I like it. Angels have a lot of great talent coming up soon. I agree. All they need to do is add a few reliable SP’s and the offensive is good enough to keep them competitive. I think a lot of the anxiety for a lot of Braves fans is that they’ve been down the road before where things stayed quiet and then the mediocre “settle for” players get signed and mediocrity continues. Problem is all the free agents are risks and dont want to overpay on a long term contract – Brantley is injury prone as is Pollack – could see if was a great outfielder out there but there isnt. But without taking said risks, there is a smaller window for reward. Who knows, this could be a year where Pollock does not have a freak injury and puts up his projected numbers; or Brantley has a consistent year from the left side. The Braves need to sock the Phillies in the mouth whilst they still can, and settling for Adam Duval is not how you go about that. The Braves don’t have a problem w/ Philly. If Philly gets Harper/MM or both, sure, then Atlanta will have an uphill fight. Spending more than 10% of your payroll on Cutch is also not how you go about it. There’s no use complaining about the Braves not buying Cadillacs when you know they’re only budgeted for a nice Ford or two. As for taking risks, they already landed Donaldson. I’m not sure we fans have reasonable expectations for these mid-market teams. Seems as though Markakis will be back in the outfield for Atlanta this year. 2 year/$24 million? I could handle that, but I think $12m is a bit high. I’d love to see him back for $8-9m for 2 years. 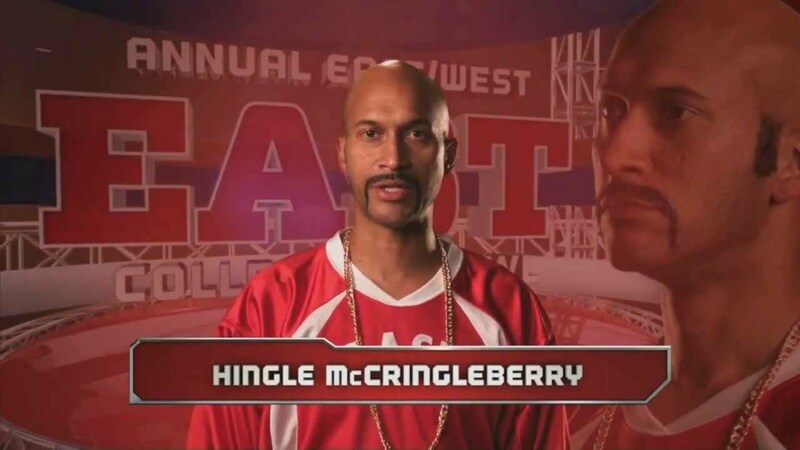 I think he can be useful to Atlanta’s lineup. Unless Atlanta swings a trade w/ Seattle, I really don’t see much else coming available. I like Markakis as a No. 2 hitter in Atlanta’s lineup. His bat doesn’t fit in the No. 4 spot because he isn’t going to put up 30 HRs. But he is a smart hitter. Hits for contact. And he hits a lot of doubles. He can take a pitch or two and hit with two strikes. These attributes all scream 2-hole. I’d take Markakis back on a 2-year contract at $16 to $18 million over those two years. That’s not a bad little lineup. Power in the heart of it. Speed in the 4 and 5 holes to manufacture some runs if the big boppers don’t come through. If a pitcher makes it past Freeman and Donaldson, it’s not like he can breathe easily with Albies and Inciarte. Jez! That’s more than he was making when he was here. If Brantley is too expensive I’d rather go to the Dodgers for an outfielder and Wood. Castalonos is the one the Braves should get! He can flat out hit. 46 doubles and 89 rbi’s Imagine him hitting 4th behind FF. Dont want Carlos Gonzales. Nick Markakis only if we trade Ender. Wouldn’t mind picking up Joey Gallo and Leclerc from the Rangers and packaging Ender for for Kluber and signing Markakis maybe 2 yr deal for Markakis by the time his contract is up maybe Pache, Waters or Jenista will have panned out by then. and a big bench bat. Maybe Gattis and/or Duda. Gallo? he of 200+ K’s a season? Yeah—no need for Gallo. If it is a less than stellar defender that you want, go with Castellanos. The guy is really quite underrated with the bat; a natural hitter with immense opposite field pop. As noted above, if you don’t mind having a defensive black hole with Gallo, I would go with Castellanos. Enders gonna be like the 3rd or 4th piece in a kluber deal with wright and possibly riley or another mlb ready piece going to cleveland. The Angels need to speak with Trout and find out what his level of commitment is to the team. If he wants to be retire an Angel, they need to sign him now to a 10 year/$400-500 million extension that will keep him through his age 38 season and then continue on this planned path. If he won’t sign, the risk of losing him in two years for nothing would be a huge blow. If the Angels called up the Yankees, Phillies, Mets, etc. right now and dangled Trout, they could have their pick of any and all young MLB players and/or prospects. Combine that return with their current farm and they could be good again in 2-3 seasons. If Trout walks, they’ll have 2 seasons in the 82-84 win range and then 3-5 seasons in the 78-80 win range as they continue to rebuild their MLB team without the league’s best player. Trouts new deal will be 21-31’. Definitionally Epplers hard line IS the most effective way to show Trout, we gonna be good. With Artes ego/checks and the Angels young core is be shocked if trout left. Sorry Phil’s fans. I’d say Atlanta won that one, w/ MCutch. Especially at 3/50. What are the chances of Atlanta getting LT Realmuto and letting Pache getting some experience this year?? The Braves are getting a left tackle from the Dolphins? Pretty sick.. The window of converting spelling error to pun is closed once acknowledged by OP. It’s rule 973a in the online forum handbook. Not very good. JT looks like a for sure thing to the Mets, just taking some time. No way they allow him to go to a rival, the Mets. Hoping my Brewers finalize a deal for Ramos. Hes an underrated catcher with some pop in the bat. I think I’d rather Atlanta sign Granderson for one cheap year than Markakis for two. I don’t think it will come down to that though. I think that Atlanta will eventually get a trade offer they find acceptable. I think if the common fan would look,at the facts they will see that Granderson is still very productive (especially in the right settings). His OPS+ is extremely competitive to the other free agents and surprisingly better than many big name ones. Of course you don’t want him playing versus the toughest lefties either so he needs to be occasionally rested. On the flip side he’d be cheap. By no means would he be a top choice, but he might be better than many other options that require multi year contracts. Trade for Haniger, Alex. Make it happen. Call Seattle’s bluff. No Jeopardy puns allowed. K bye. Can we stop bringing up Markakis. We are not bringing him back. I guess Happ is no longer an option. I’m an Angels fan and agree about trading calhoun and getting a 2nd tier starter(s). I think they can be cost conscious on the pen. Bullpen arms are volatile from year to year and Eppler seems to have a knack finding afterthought relievers that end up being successful. That being said, still confused on the non-tender of Blake Parker. What do you think about Moose at Third, Fletcher at Second. We trade Donkey and Barron. Go get a cheap RF replacement there are several on the market. We could get moose for 3 and 40 in my opinion. Still leaves plenty of money for two starters and two relievers. How about trading Calhoun aka Red Barron and Zach Donkey Cozart and signing Moose to play third, Agree let Adel start his MLB career in Right Field if he struggles go sign a lower tier free agent Carlos Gonzalez type to play for the time being. I am more than fine having are wanna be David Eckstein Mr. Fletcher take over the second base chores. We do still need at least a number 2 type starter and a reliable back of the pen type reliever and who know we can compete for division. Houston is coming back to the pack. I am actually more worried about the A’s there infield D is unbelievable. I hope Mr. Zaidi is not a drinker, because fixing the Giants mess will probably make him one. Seriously though, what a mess the last GM and ownership left him. Stay frosty Mr. Zaidi. I’m not an Angels fan but I’d pay to watch their team with Trout and Harper. I don’t follow the Angels but Harper is from Las Vegas, so who knows if it’s possible. Man, that’d be an exciting team. Gray makes the most sense for the Angels. Moving to a pitcher’s park with top tier defense helps. I’m confident with Eppler’s experience working with Cashman helps. Teheren would be a good grab too, but would cost too much in assets. spot. Maybe try to sign Shoemaker to a minor league deal as a backup. Then go after relievers in trades or free agency and a catcher. Maldonado reunion? Trading Calhoun or Cozart is selling low and eating money. I’d rather trust the devil I know versus the devil I don’t know. Due to C. Hernandez (2B) getting low value right now, due a multi-team trade, maybe eat some of Cozart’s salary, slot Fletcher in at 3B. Calhoun brings plus defense and can be used until Adell is ready.